The Jordan Brand is once again getting back to the classics. For sneaker heads the ‘True Blue’ Air Jordan III has always been one of the most coveted. Whether you “rock um or stock um” these are a must have for your kick collection. 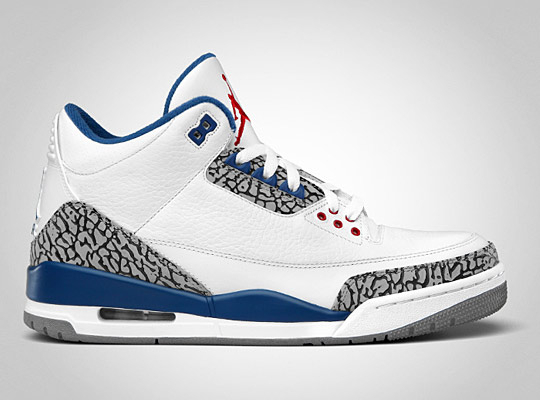 Jordan Brand is bringing them back to the market on June 4, 2011. So grab your pair for $150 USD at various stores across the US.